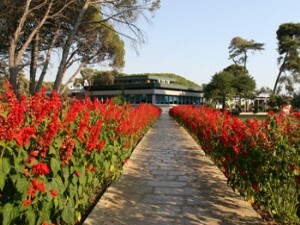 Renovated in 2006, this charming, family-friendly beach hotel comprises a total of 3 floors with 40 superbly appointed standard, twin, superior and executive rooms. It is ideal for holidaymakers and business travellers alike, and sets a world-class standard in luxury, comfort and hospitality. Facilities on offer to guests at this air-conditioned establishment include a lobby area with a 24-hour reception and 24-hour check-in/check-out services, a hotel safe, a currency exchange facility and a cloakroom. It also offers a lift, cafe, newspaper stand and a mini supermarket, as well as a bar, pub and a nightclub. 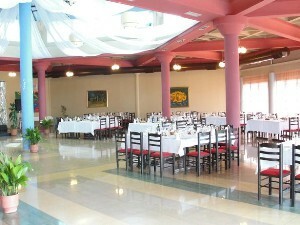 Further facilities include a TV lounge, restaurant and conference facilities. 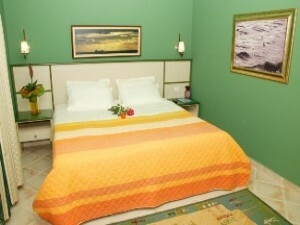 Guests may take advantage of WLAN Internet access and the room and laundry services. A car park and a garage are available for those arriving by car.